NEW ROOF WAS INSTALLED IN 2010. BEAUTIFUL VIEW OF YARD AND CANAL. 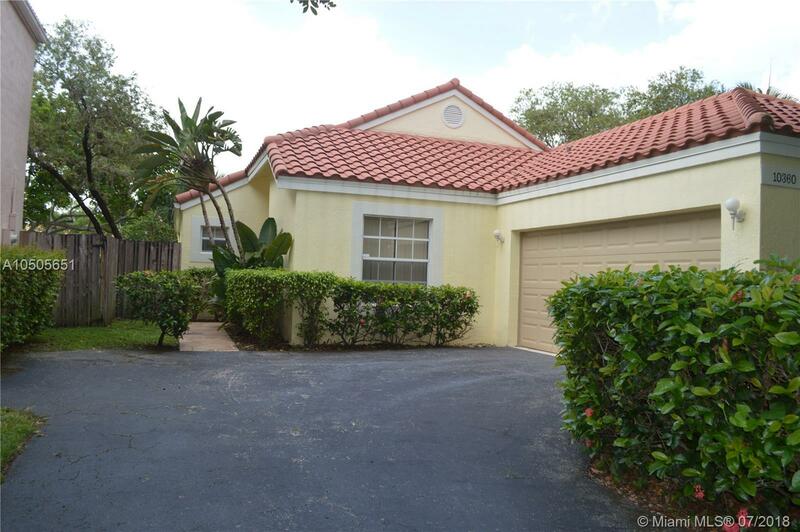 HOME IN DESIRABLE COMMUNITY OF BRIDGEWATER OF PLANTATION. 3 BEDROOMS, 2 BATHS WITH 2 CAR GARAGE. NICE SCREENED PATIO LOOKING AT THE CANAL. PAINTED OUTSIDE IN 2015. A/C 6 YEARS OLD. ORIGINAL OWNER. CLUBHOUSE AND COMMUNITY POOL. COMMUNITY TAKE CARE OF LAWN. ADT ALARM SYSTEM WIRED. OWNER MOTIVATED.